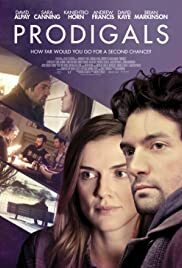 After a near death experience, a man becomes a born again Christian; when he wants to sell a memoir based on his rebirth, an ex girlfriend threatens to expose a damning secret; he must decide to take action, or just pray she doesn't tell. It's January 30th 1933 - the day Hitler comes to power - and the German-Jewish family Glickstein comes together for a family dinner. After learning of his father's death, a man returns to his hometown and discovers that the family farmhouse is mortgaged to the hilt.